Following Omar Suleiman’s recent announcement that he is entering Egypt’s presidential race, international media outlets were quick to peg the former intelligence chief as “a leading symbol of Mubarak’s era” in what they painted as an upcoming, dramatic showdown for the title of Egypt’s new leader. The 75-year-old former spymaster, who served in ex-President Hosni Mubarak’s regime for 18 years, has indeed been identified as one of the ousted president’s closest allies and someone who has shared his domestic and foreign policy objectives. But what is really known about the man who, until recently, largely stayed in the shadows of his country, yet who was deemed in 2009 to be the Middle East’s most powerful intelligence chief? Egypt over the weekend disqualified Suleiman from the presidential race, but if he is able to circumvent this and ultimately take the presidency, will his agenda still be the same as his predecessor’s in a Middle East and in an Egypt that are no longer the same as they were during Mubarak’s rule? Amid the Islamist tides of change in the region, what can we in Israel expect from Suleiman if he rises to power? A former Israeli diplomat who has been no stranger to Egypt’s political terrain told me that while descriptions of Suleiman as “Mubarak’s main man” are “absolutely true,” this is not the whole story. 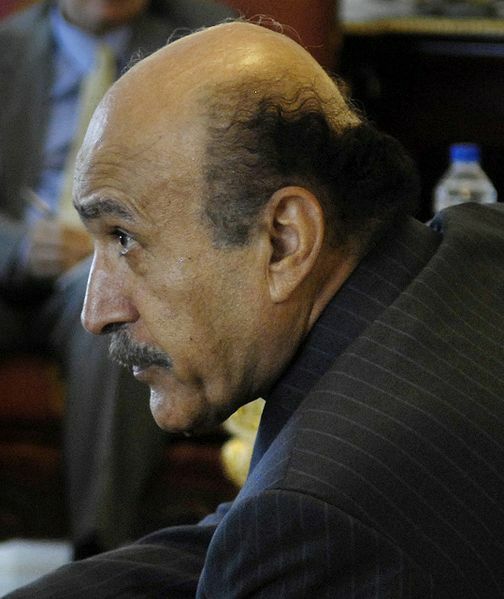 Egypt’s former intelligence chief Omar Suleiman. Credit: DoD photo by Cherie A. Thurlby. But in the post-Mubarak era, if Suleiman is elected president, how much will his objectives deviate from the old regime’s if he wants to keep the Egyptian street happy? And will he be able to withstand Islamist pressure? In fact, Mazel suggested, Suleiman knows that the future of Egypt’s stability is tied, in several ways, to its relations with Israel. One of these ties is Egypt’s gas exports to the Jewish state, something the Islamists have criticized and said should end. “Gas exports to Israel are the best thing for Egypt,” Mazel told me. “To send gas from Port Said in the Mediterranean to Ashkelon, it takes a 160 km pipeline. But if they want to send this gas to Europe, they have to solidify it first, load it onto ships and send it to Europe, where it will have to be gasified again. So it’s the best business for the Egyptians to sell gas to Israel, its neighbor, especially since Israel is an industrialized country that will need much more gas in the future,” Mazel said. The QIZs have become nothing short of a lifeline for the Egyptian textile industry, and by extension for the country’s economy. “Egypt cannot survive if it cannot export textiles and cotton to the U.S., and if it has to pay high tariffs. Without the Qualifying Industrial Zones, they’ll have hundreds of thousands of unemployed people,” Mazel told me. The Islamists controlling Egypt’s parliament would do good to take heed of these factors if they want keep Egyptians happy and therefore keep their place at the top. And yet, despite Suleiman being the pragmatic candidate who represents the stability and security of the old regime, without its corruption as Mazel says, many Egyptians still view him suspiciously. A poll conducted in April by the Al-Ahram Centre for Political and Strategic Studies (that included Suleiman as a choice even before he announced his candidacy) asked 1,200 Egyptians who their preferred candidate would be for president. It found that Suleiman would get only 8.2% of the vote, down from 9.3% in March. This in comparison to the projected frontrunner in the race, former Arab League Secretary-General Amr Moussa, who got 31.5%. Suleiman’s chances of winning the Egyptian presidency may be slim, but his candidacy could affect the dynamics of the race. Some say his bid could split the anti-Islamist vote and take away support from other Mubarak-era candidates such as Moussa and former Prime Minister Ahmed Shafik, thus paving the way for an Islamist win. Others say his candidacy may only push those who fear the Islamists’ newfound power to vote for Moussa, or any other candidate capable of ensuring that they do not make it to the top. From Israel’s perspective, this could be a victory in itself.